There are different types of windows used in building construction to provide ventilation, and view. The selection of windows depends on many criteria. A window is a vented barrier provided in a wall opening to admit light and air into the structure and also to give outside view. Windows also increases the beauty appearance of building. Selection of suitable window in a particular place should be dependent of following factors. Based on the above factors we can select the suitable window for our strictures. There are so many types of windows are available based on their positions, materials and functioning. Windows are classified as follows. Fixed windows are fixed to the wall without any closing or opening operation. In general, they are provided to transmit the light into the room. Fully glazed shutters are fixed to the window frame. The shutters provided are generally weather proof. In this case, window shutters are movable in the frame. The movement may be horizontal or vertical based on our requirement. The movement of shutters is done by the provision of roller bearings. Generally, this type of window is provided in buses, bank counters, shops etc.. In this type of windows, pivots are provided to window frames. Pivot is a shaft which helps to oscillate the shutter. No rebates are required for the frame. The swinging may either horizontal or vertical based on the position of pivots. Double hung windows consist of pair of shutters attached to one frame. The shutters are arranged one above the other. These two shutters can slide vertically with in the frame. 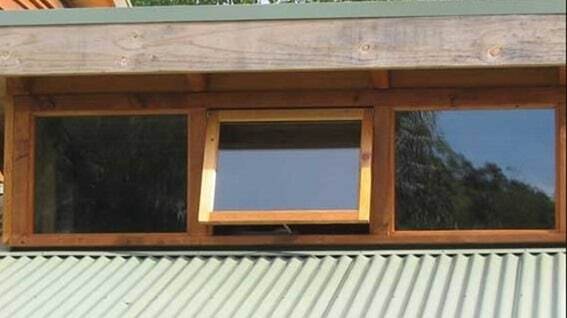 So, we can open the windows on top or at bottom to our required level. To operate the double hung windows, a chain or cord consisting metal weights is metal provided which is connected over pulleys. So, by pulling the weights of cord the shutters can move vertically. 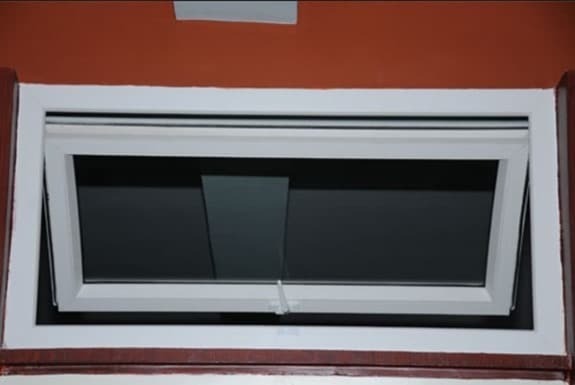 Then we can fix the windows at our required position of ventilation or light etc..
Louvered windows are similar to louvered doors which are provided for the ventilation without any outside vision. The louvers may be made of wood, glass or metal. Louvers can also be folded by provision of cord over pulleys. We can maintain the slope of louvers by tilting cord and lifting cord. Recommended angle of inclination of louvers is about 45o. The sloping of louvers is downward to the outside to run-off the rain water. 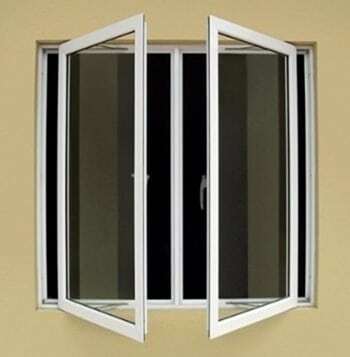 Generally, they are provided for bathrooms, toilets and privacy places etc..
Casement windows are the widely used and common windows nowadays. 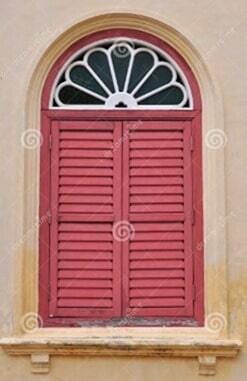 The shutters are attached to frame and these can be opened and closed like door shutters. Rebates are provided to the frame to receive the shutters. 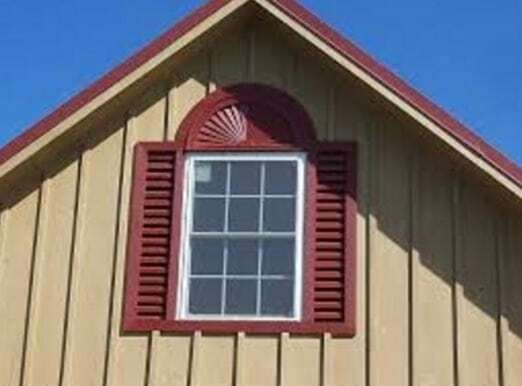 The panels of shutters may be single or multiple. Sometimes wired mesh is provided to stop entering of fly’s. 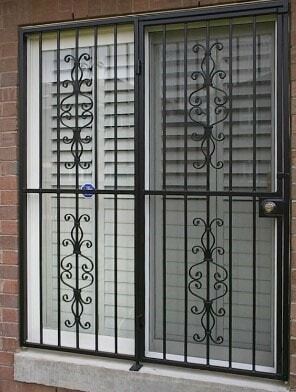 Metal windows, generally mild steel is used for making metal windows. These are very cheap and have more strength. So, now days these are widely using especially for public buildings, private building etc. Some other metals like aluminum, bronze, stainless steel etc. also used to make windows. But they are costly compared to mild steel windows. 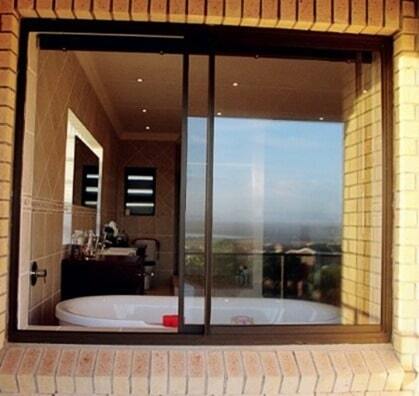 For normal casement windows also, metal shutters are provided to give strong support to the panels. 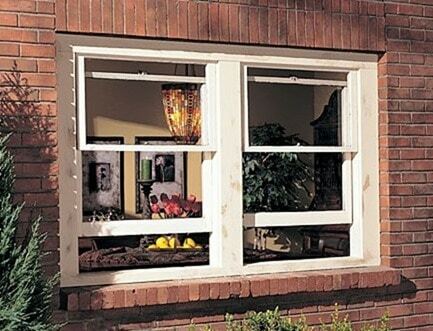 Sash window is type of casement window, but in this case panels are fully glazed. It consists top, bottom and intermediate rails. The space between the rails is divided into small panels by mean of small timber members called sash bars or glazing bars. As in the name itself corner windows are provided at the corners of room. That means corner windows has two faces in perpendicular directions. By providing this type of windows, light or air can be entered into room in two different directions. 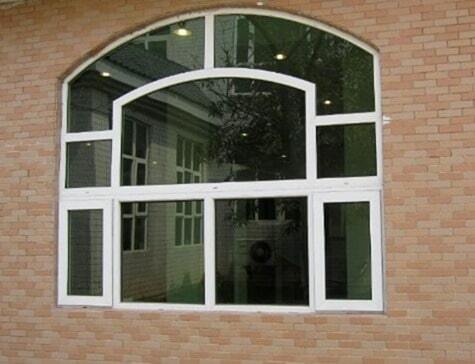 To provide this type of window special lintel is provided in the wall. Corner windows will give aesthetic appearance to the building. 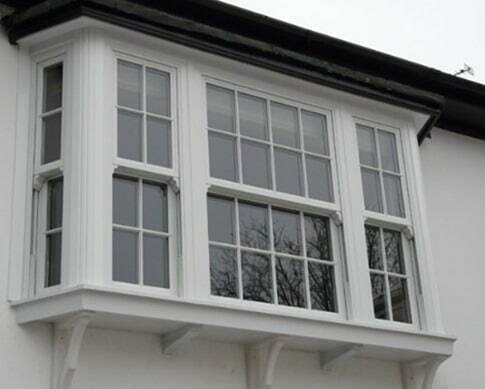 Bay windows are projected windows form wall which are provided to increase the area of opening, which enables more ventilation and light form outside. The projection of bay windows are of different shapes. It may be triangular or rectangular or polygonal etc. They give beautiful appearance to the structure. 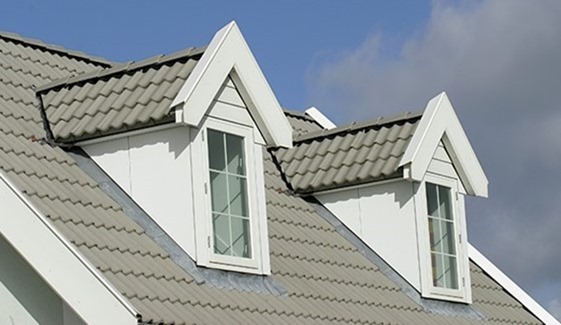 Dormer windows are provided for sloped roofs. These are projected from the sloping surface as shown in below image. They provide ventilation as well as lighting to the room. They also enhance aesthetic sense of room. If the rooms in a building are of different ceiling heights, clerestory windows are provided for the room which has greater ceiling height than the other rooms. The shutters able to swing with the help of cord over pulleys. These also enhances the beauty of building. Lantern windows are provided for over the flat roofs. 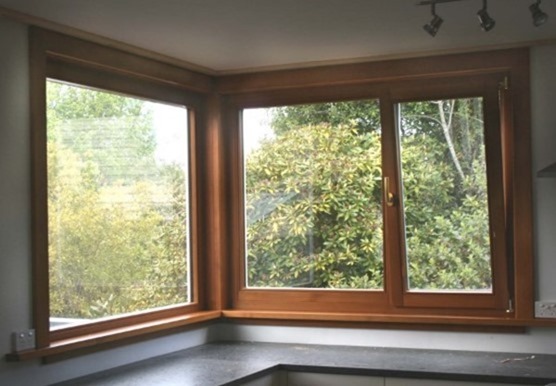 The main purpose of this window is to provide the more light and air circulation to the interior rooms. Generally, they are projected from the roof surface so, we can close the roof surface when we required. Gable windows are provided for sloped roof buildings. 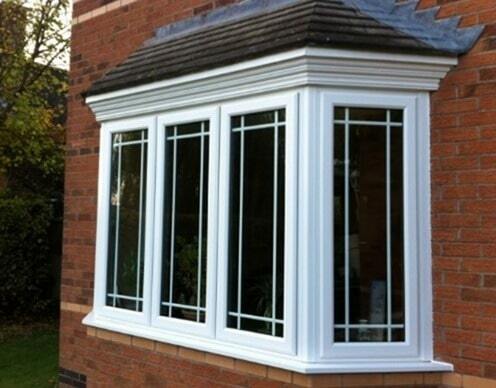 These windows are provided at the gable end of sloped roof so; they are called as gable windows. They also improve the appearance of building. Ventilators are provided for the purpose of ventilation in the room. They are provided at greater height than windows nearer to roof level. It is in very small size. 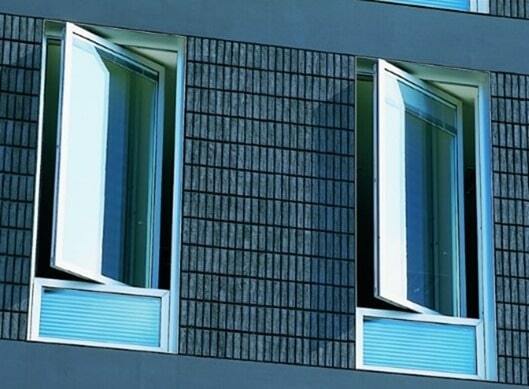 Horizontally pivoted shutters are provided for ventilators. Sometimes shutter is replaced by wired mesh, in this case sunshade is provided to prevent against rain water. 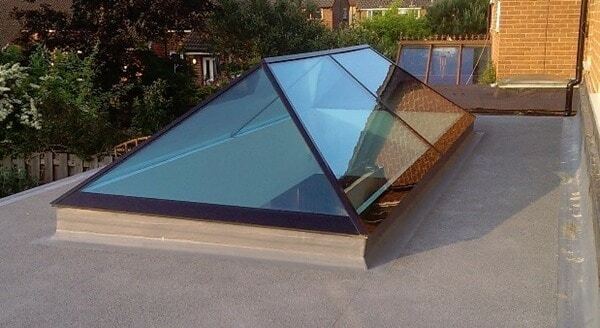 Skylights or generally provided on the top of sloped roofs. 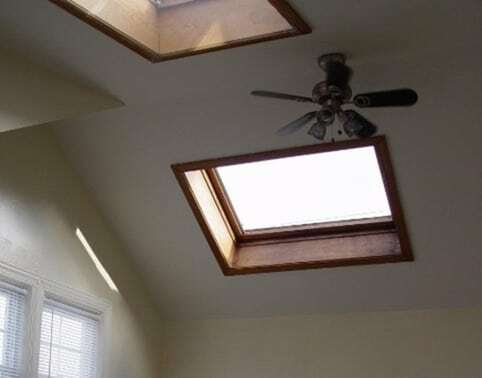 To admit light into the rooms, sky lights are provided. It is provided parallel to the sloping surface. Sky lights can be opened when we required. Lead gutters are arranged to frame to make it as waterproof.